If you’re looking for an air conditioning solution in Brantford, Enersure has got you covered. Whether your own AC has broken down or you’re considering adding a new air conditioning unit to your home, Enersure’s AC leasing plan can have you up and running with exactly what you need without the large up-front payments. While owning your own appliances does drive the value of your house up, it also drives up the maintenance and repair costs needed to sustain those appliances. Leasing is a great way to avoid those unpredictable costs. By paying a monthly lease fee, you are provided with worry-free, hassle-free air conditioner Leasing, with no money upfront, and no need to budget for costly service calls again you never have to worry about your unit breaking down again. Leasing an air conditioner is an excellent option because you can be sure that you’re covered 24/7 when it comes to those unfortunate repair service calls, but also because the AC unit actually belongs to the leasing company, meaning it is in their best interest to keep it as clean and as well maintained as possible. One more thing. If for some reason you decide leasing isn’t for you, the AC can be purchased at any time with no penalty and no aggravating service charges. How much does it cost to rent an air conditioning unit in Brantford? 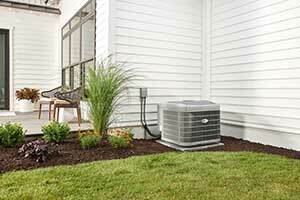 Enersure air conditioner leases start at only $39 per month. All air conditioners include full installation, but do not include specialty items such as electronic air cleaners, etc. For more details on AC Leasing Prices and to find out how much an AC would cost you, please book a free consultation and see what Enersure experts have to say. A qualified Enersure professional will visit your home, at your convenience, to ensure you lease the most suitable system for your home’s square footage. Replacing your current inefficient air conditioning system with a leased unit from Enersure will help you save on service and repair costs, which will help to offset your lease payment. Best of all, when you lease with Enersure you’re completely covered around the clock. If you have any additional questions and would like to know more about leasing an AC unit for your home or office, please do not hesitate to contact us. To do so, visit this page now!